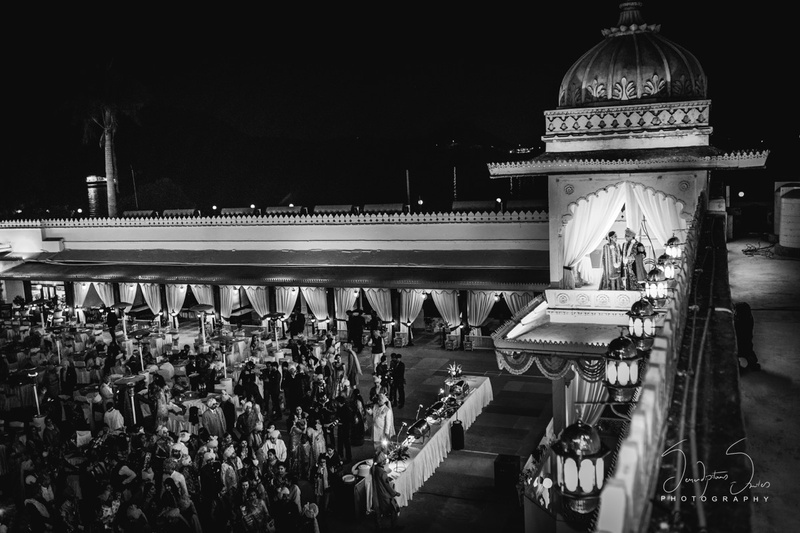 It might be a mini-bias but destination weddings at Jagmandir Lake Palace, Udaipur are one of our favourites! 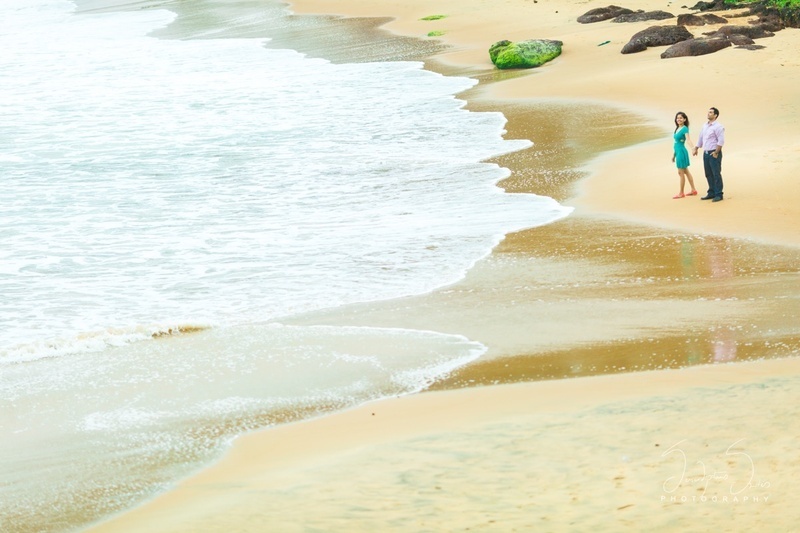 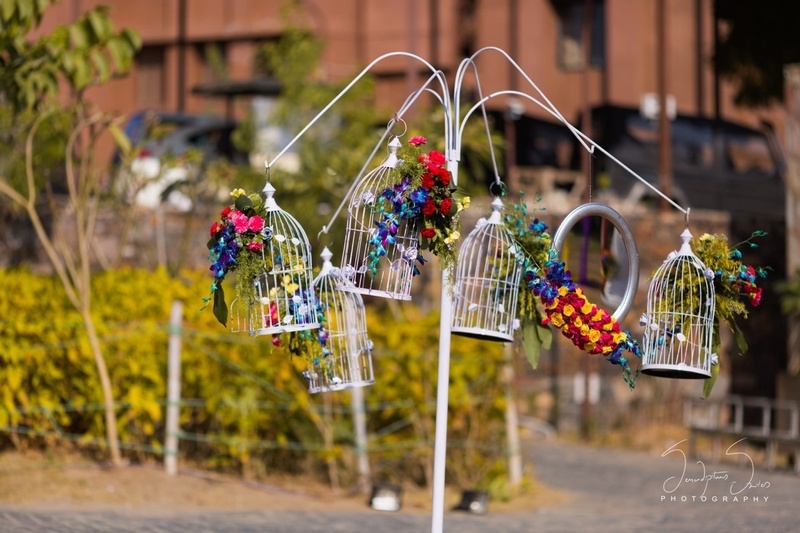 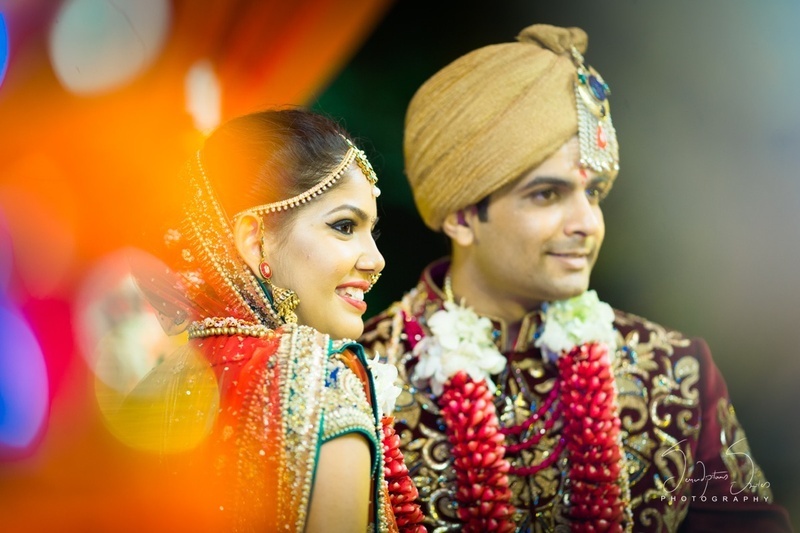 Each wedding held there shows the different ways in which the wedding venue can be jazzed up to perfection. 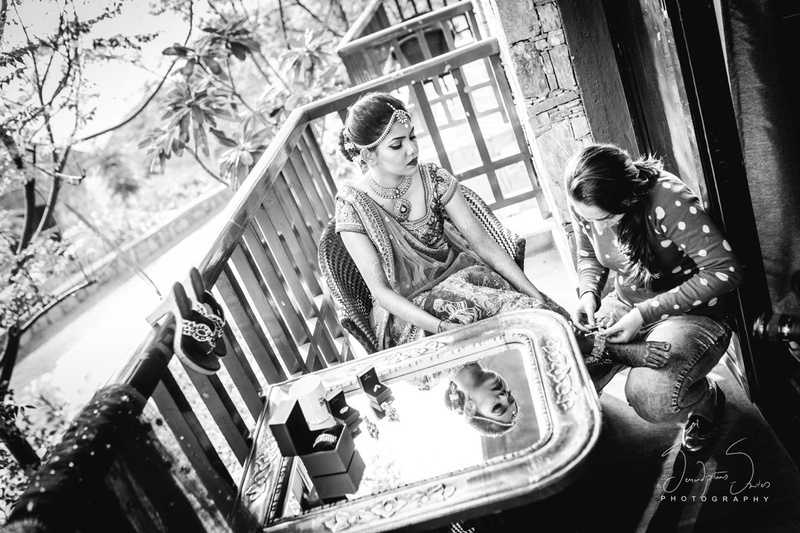 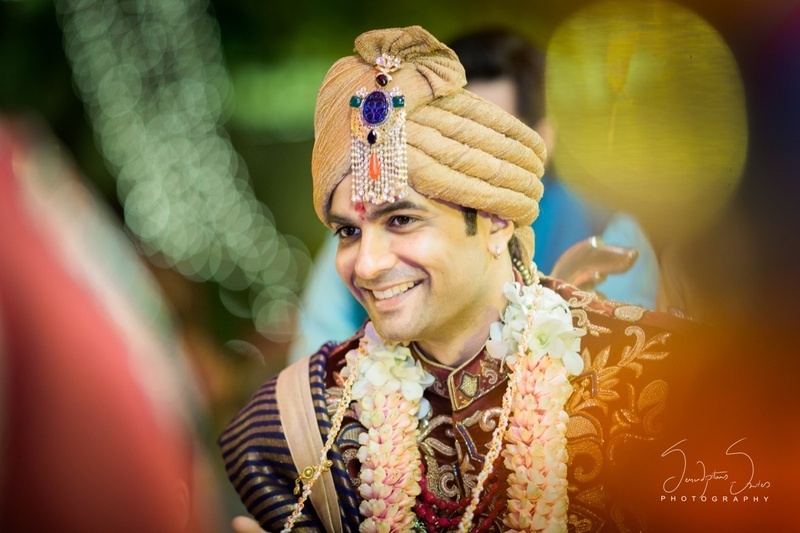 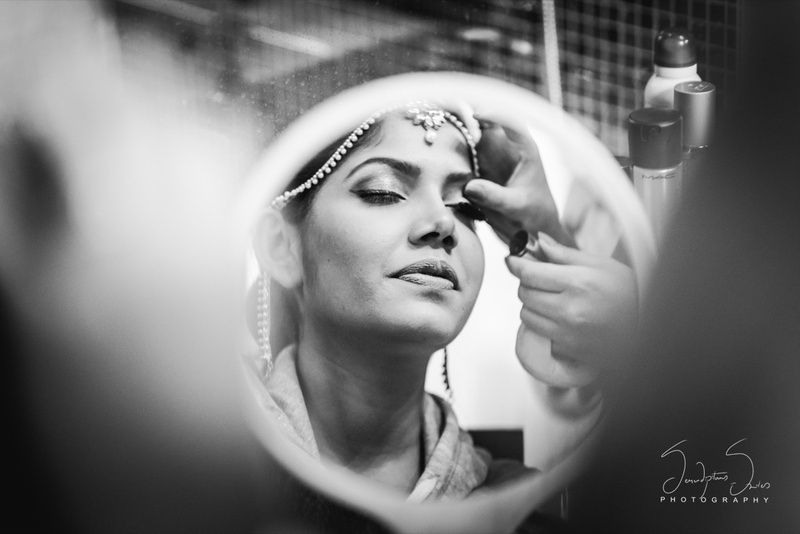 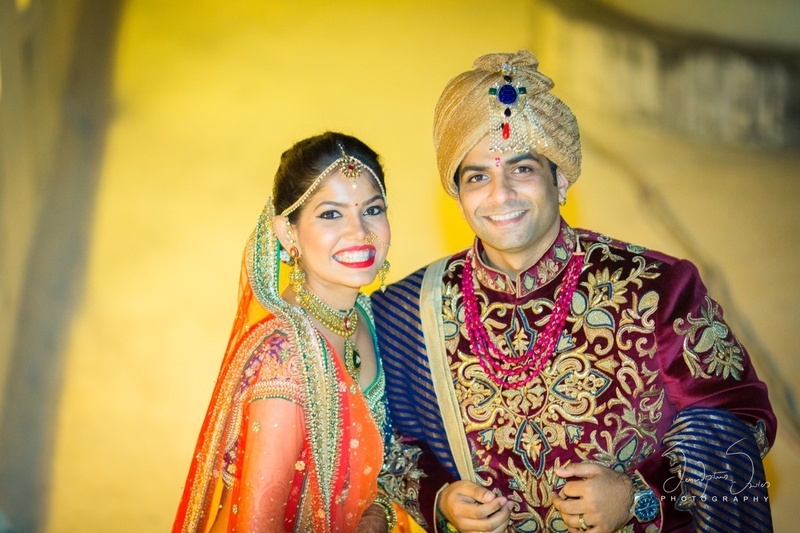 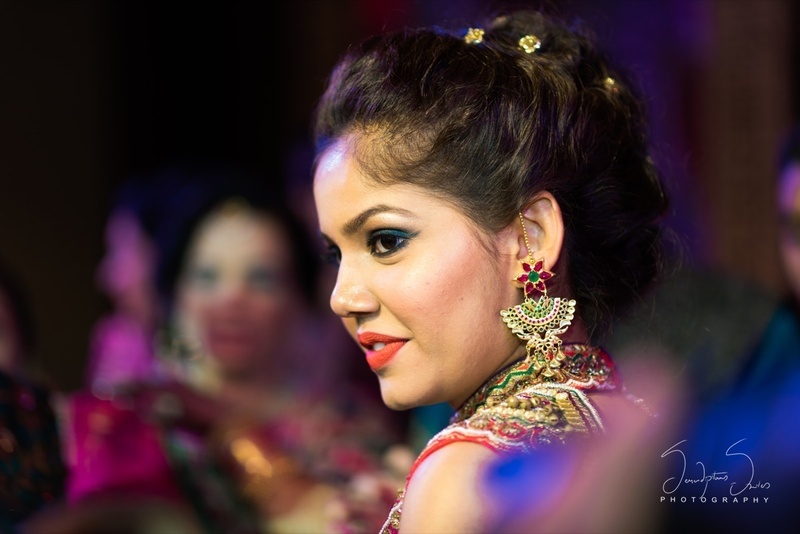 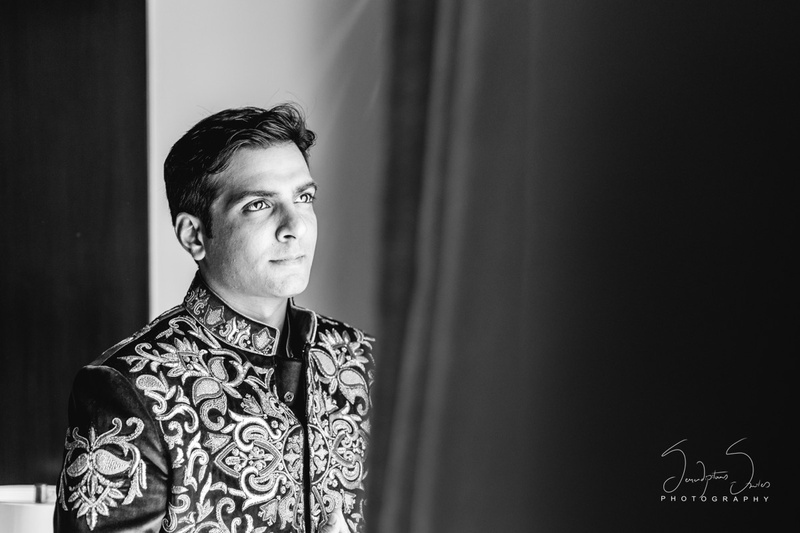 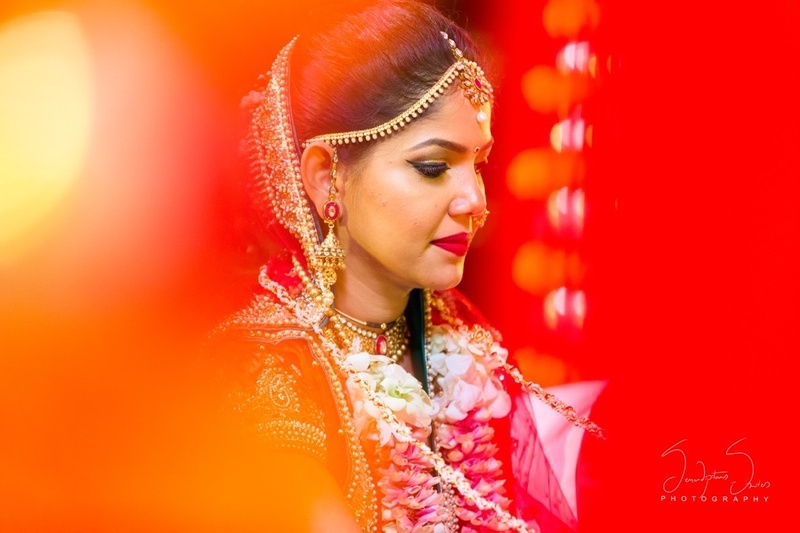 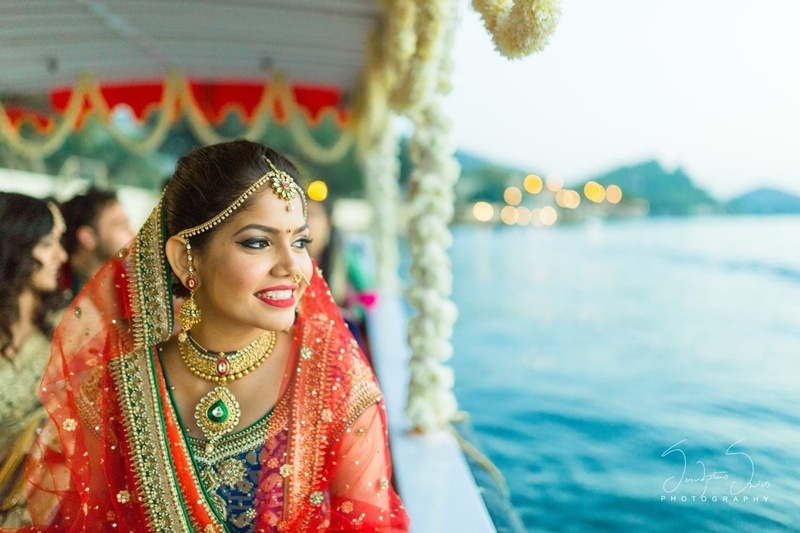 Rushi and Kruti’s destination wedding at Jagmandir Palace, Udaipur too was nothing short of regal with all the right tinges of modern-bride-beauty! 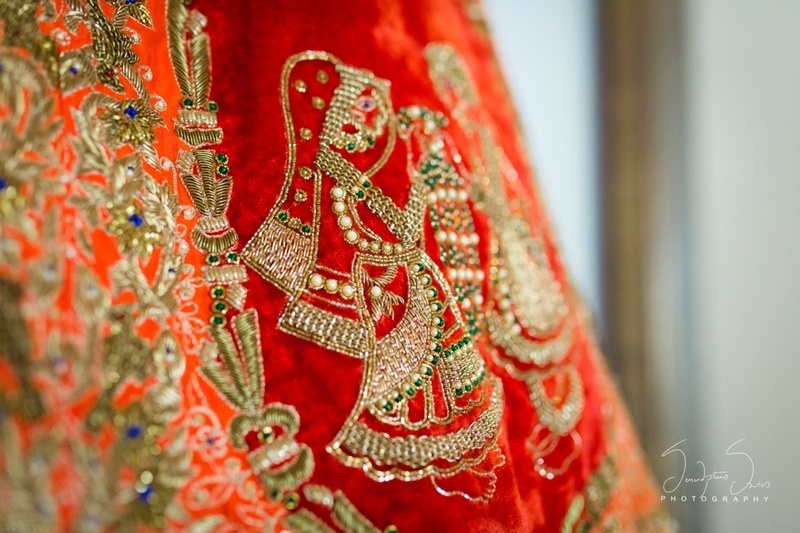 They chose Rajasthan as a state due to its rich culture, royal feel and it housed some of the best palaces in the world. 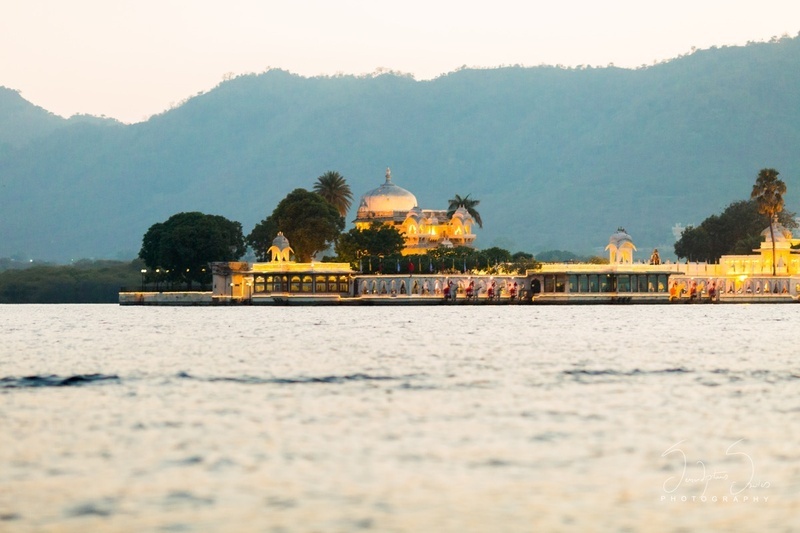 They further narrowed down on Udaipur, the city of palaces as it was comfortably near to both the cities that they came from – Gujarat (Anand) & Maharashtra (Mumbai). 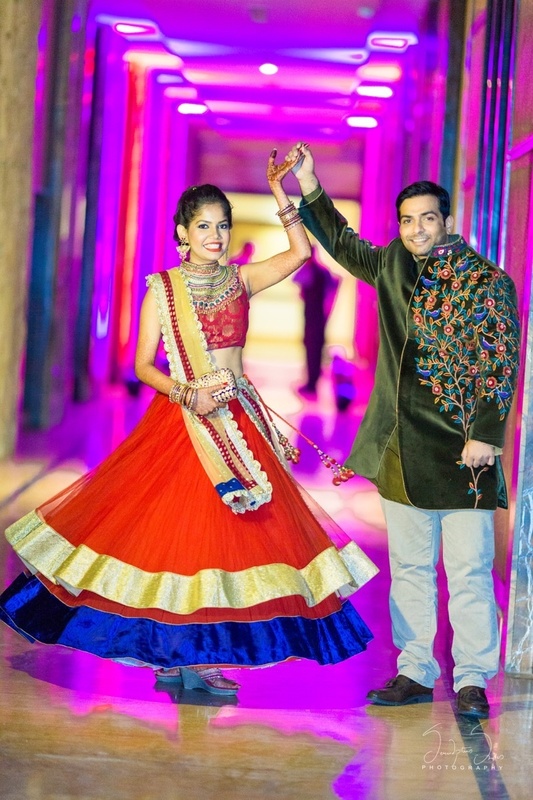 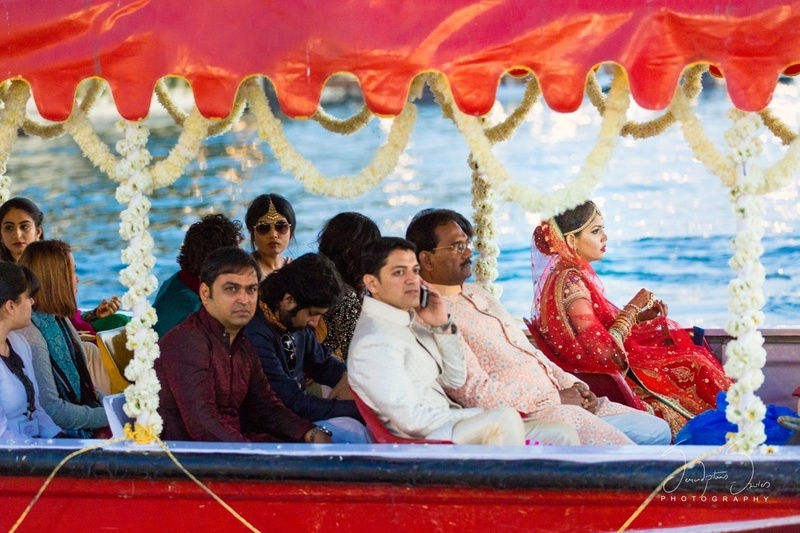 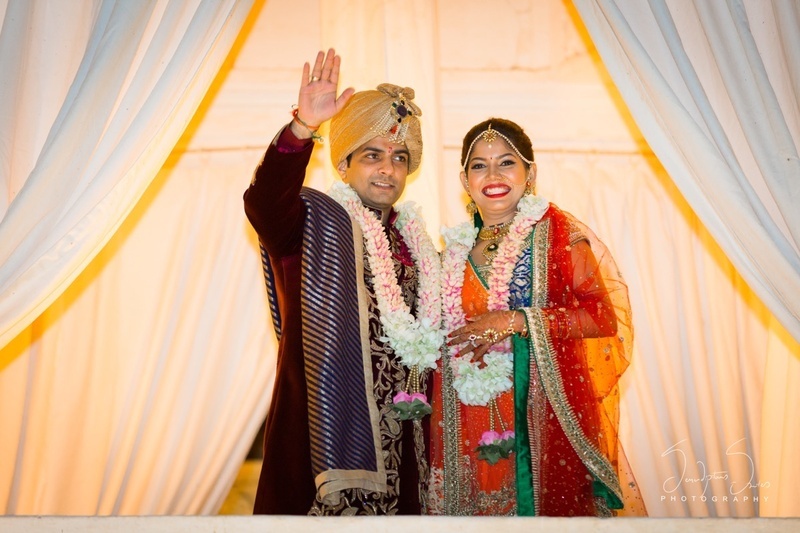 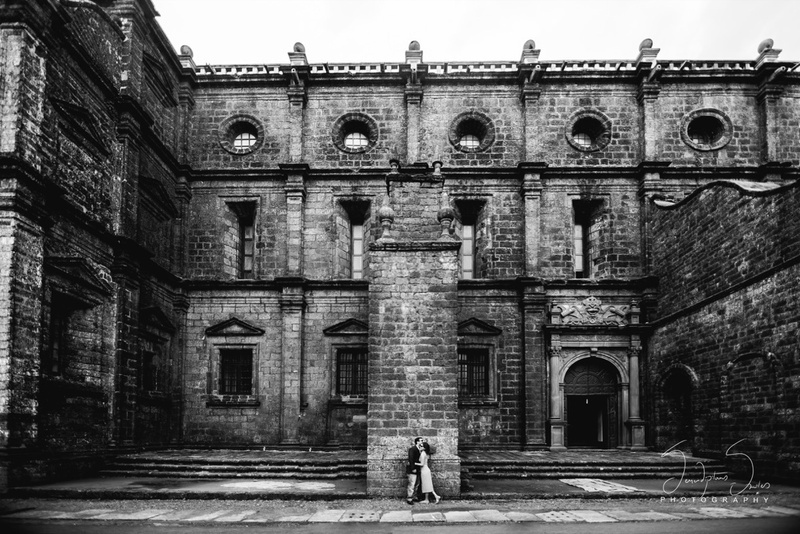 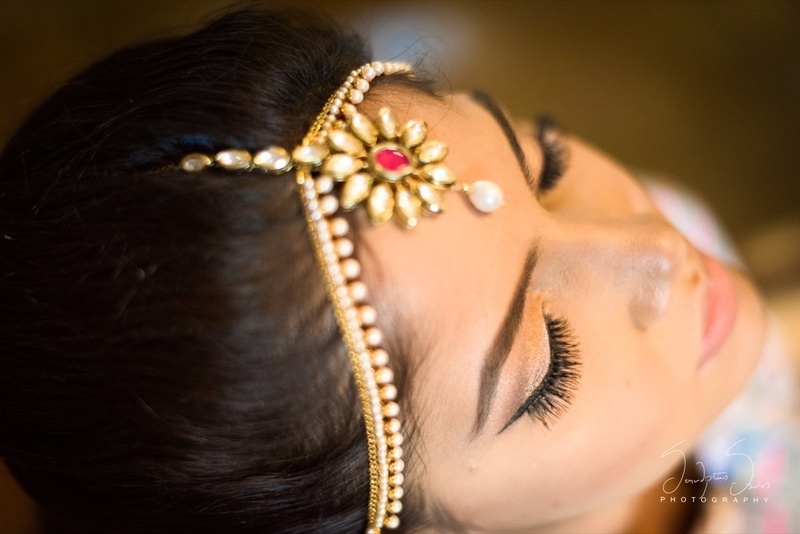 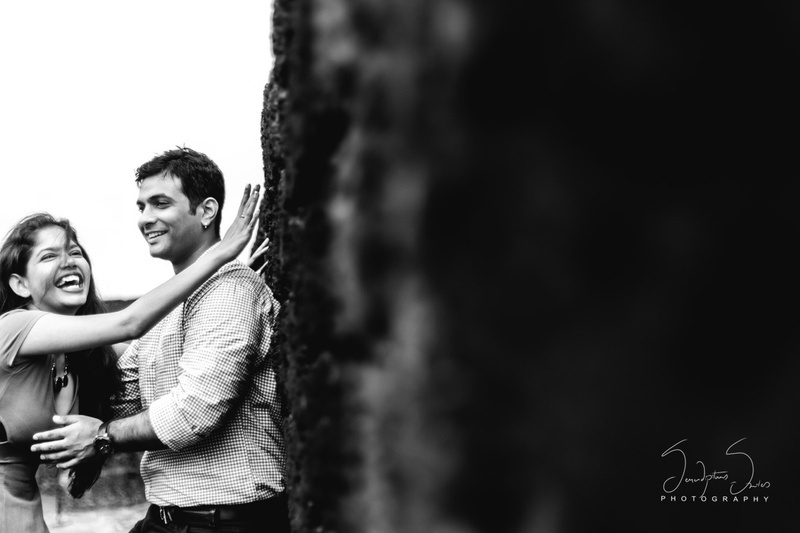 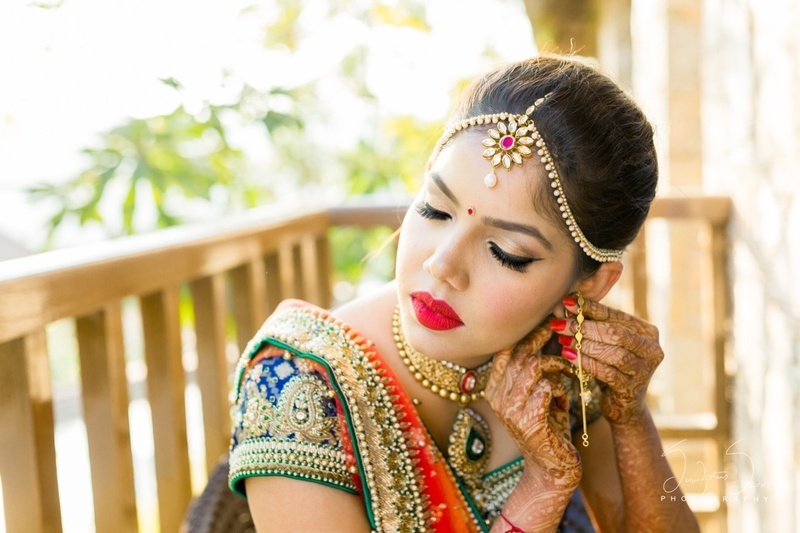 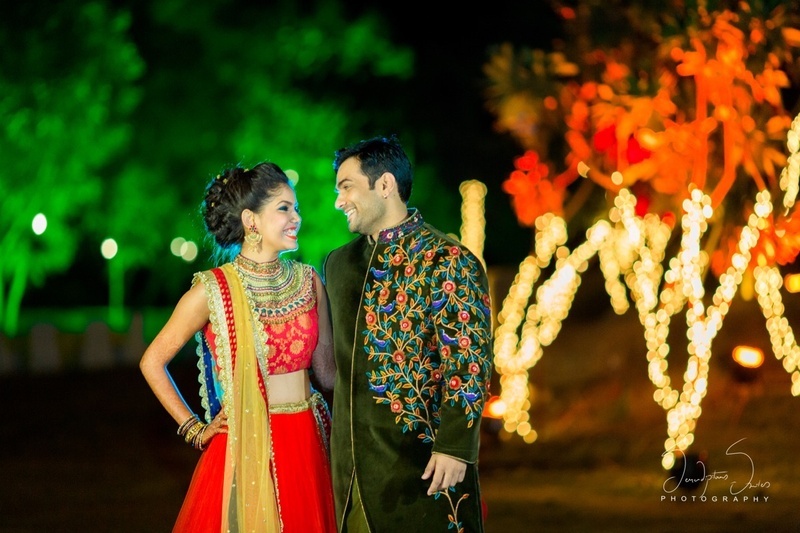 Radhika Pandit from Serendipitous Smiles shot this royal destination wedding in all its glory. 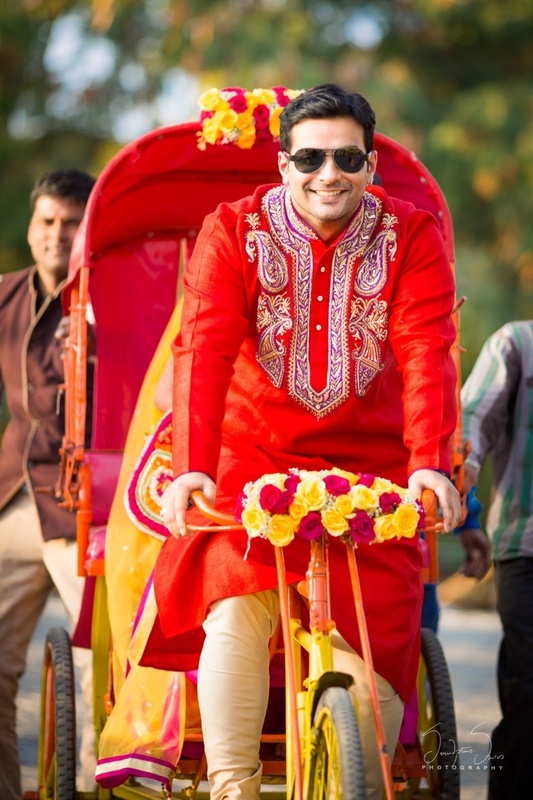 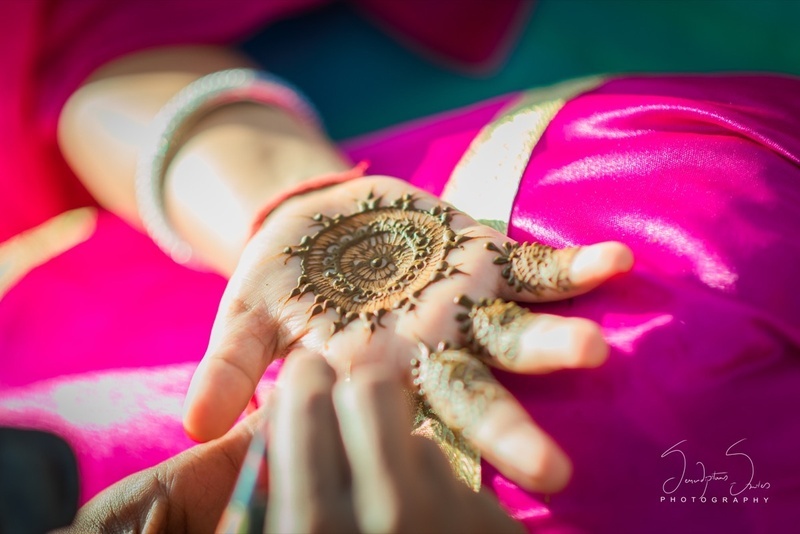 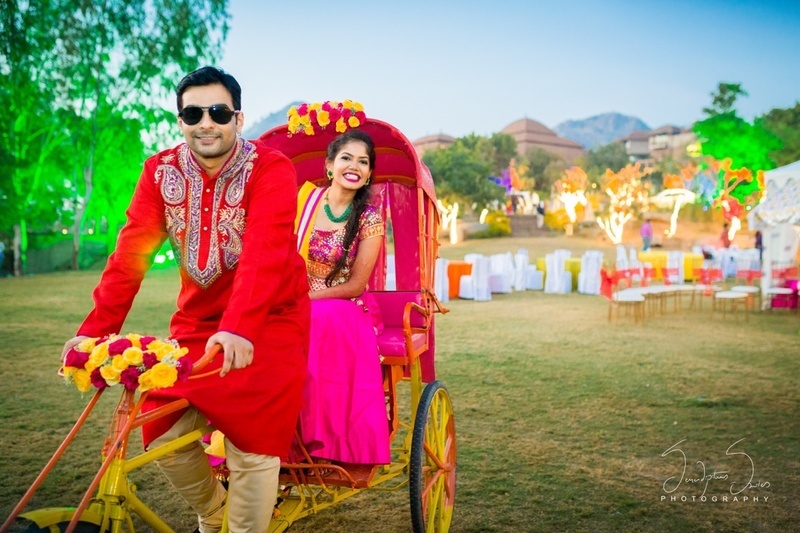 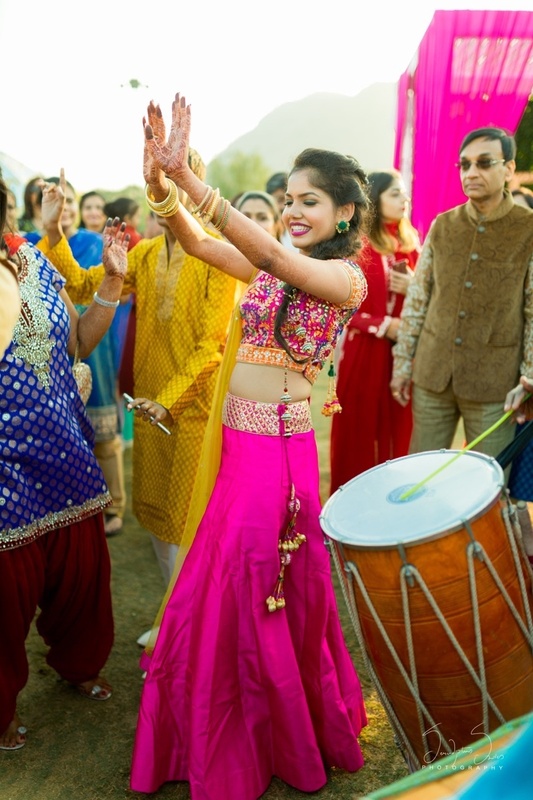 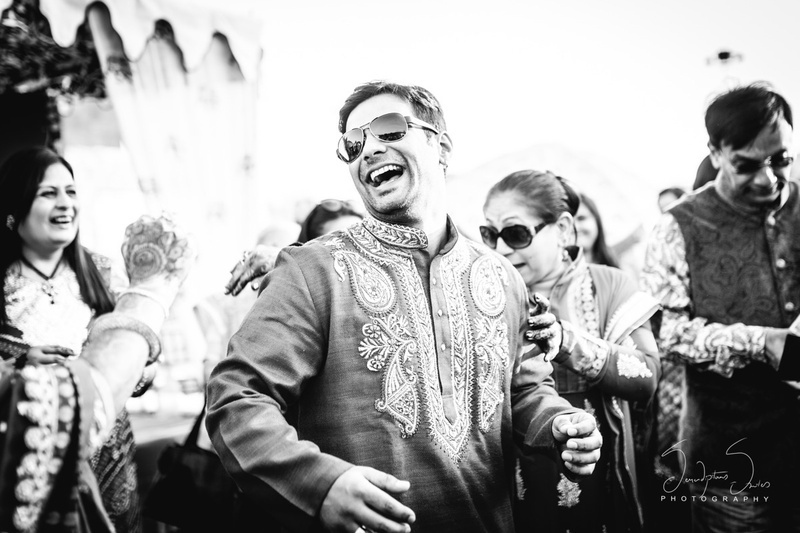 From the colour filled mehndi to the with the cycle rickshaw (we just couldn’t miss!) 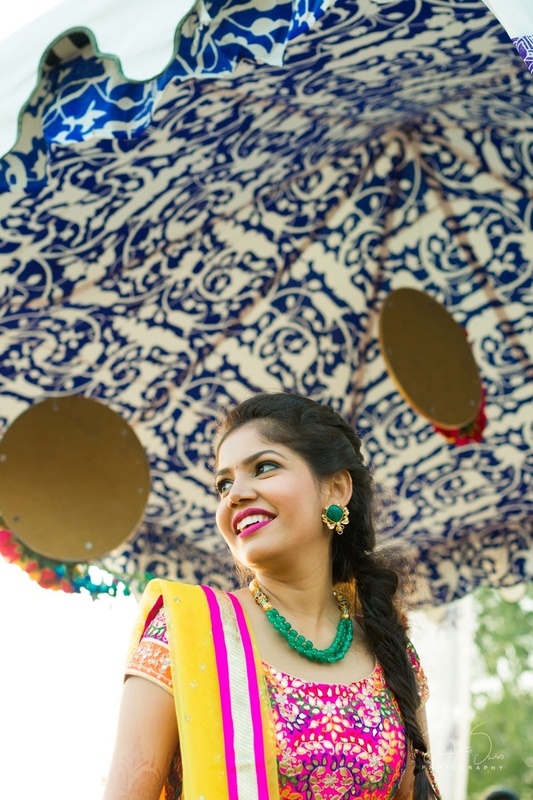 to this gorg bride dressed in fuschia! 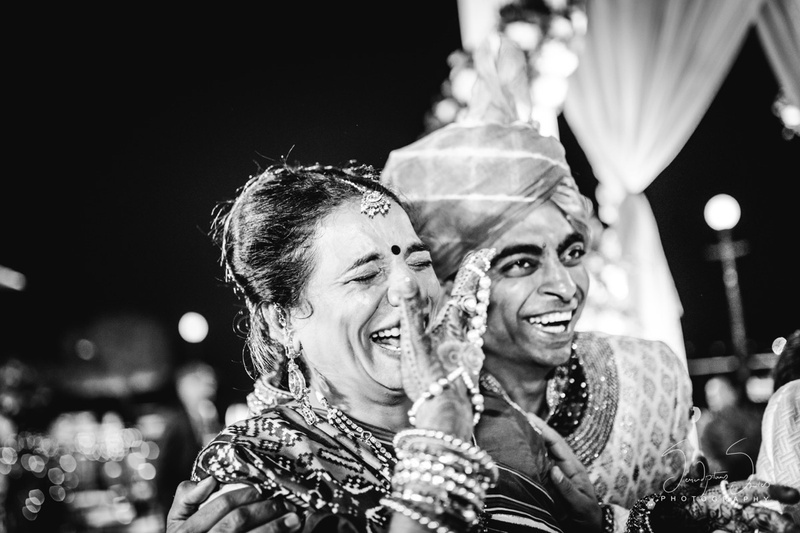 All the colour, all the love an laughter was captured beautifully in photos that Rushi and Kriti will treasure forever!. 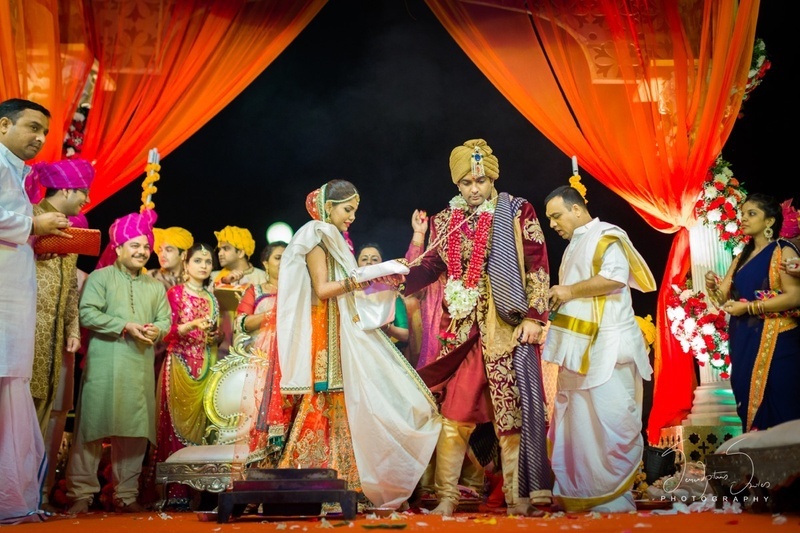 Everything about the wedding was magical & sparkly, the way they had dreamt and planned it. 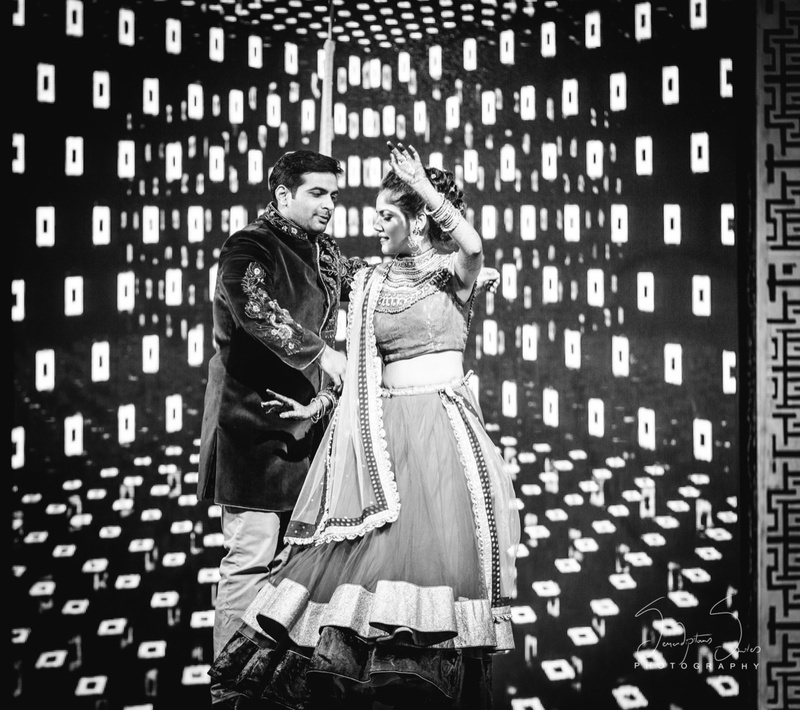 From outfits to locations to functions and everything else, it was a colourful chaos and an event which would last in their minds forever. 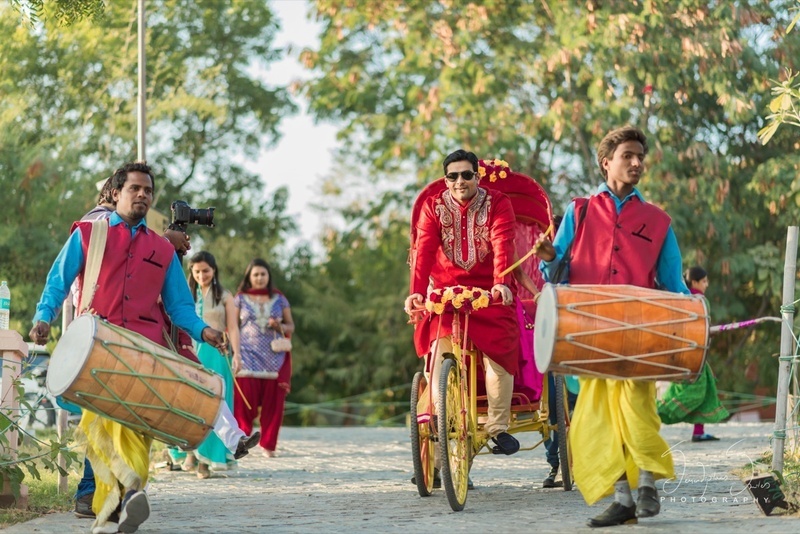 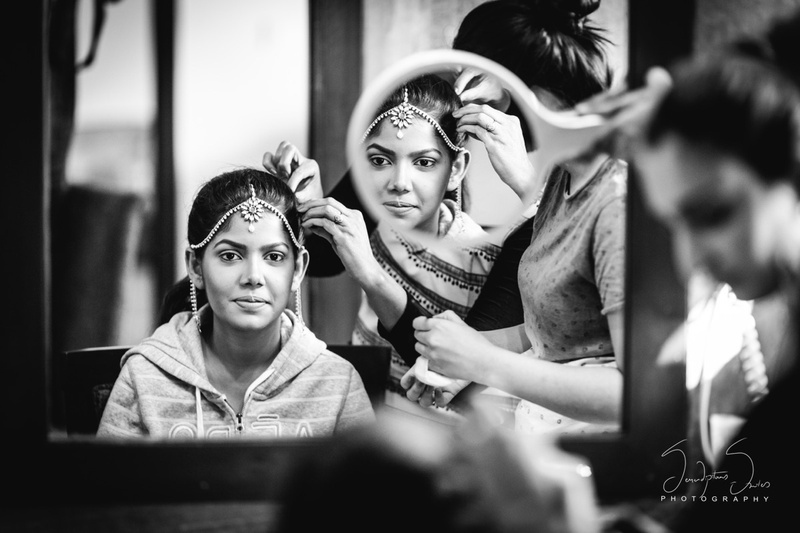 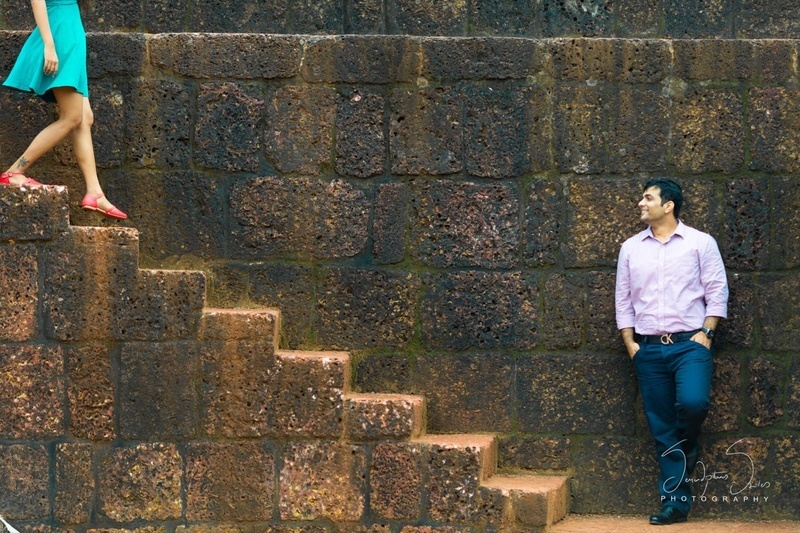 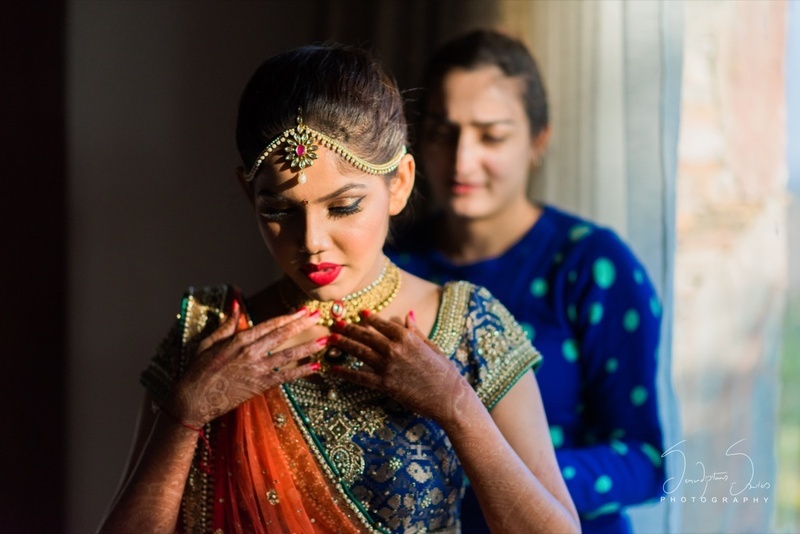 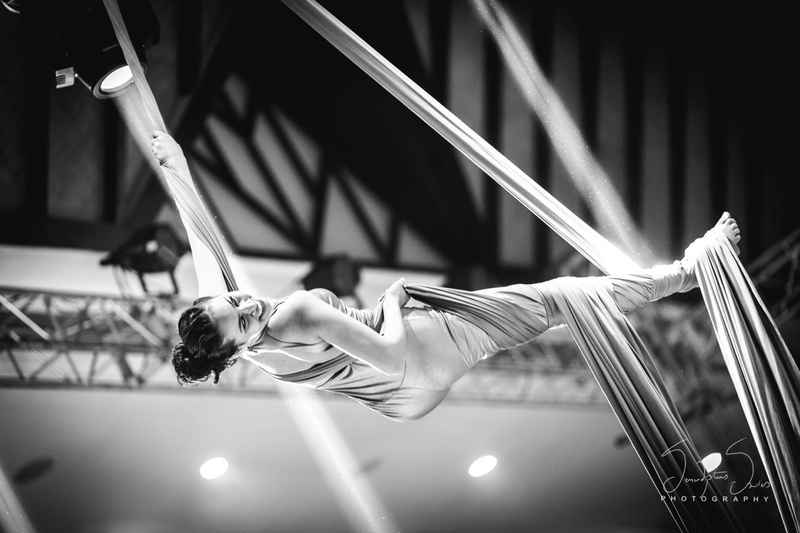 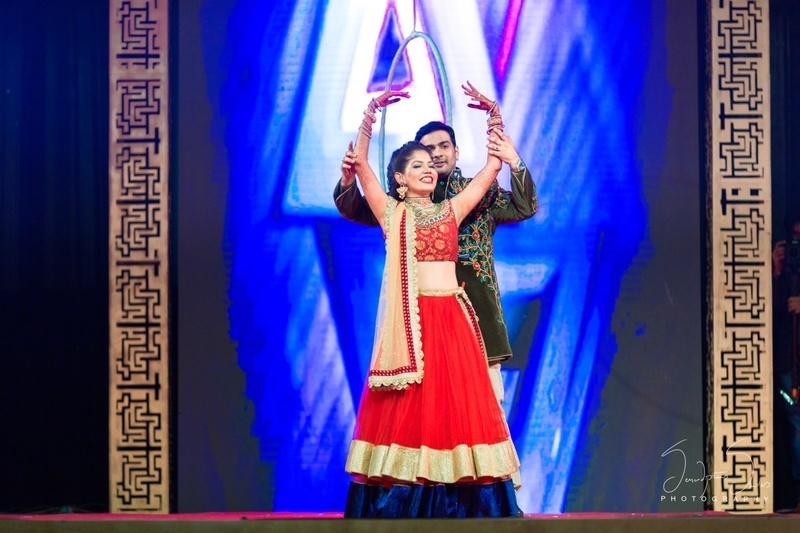 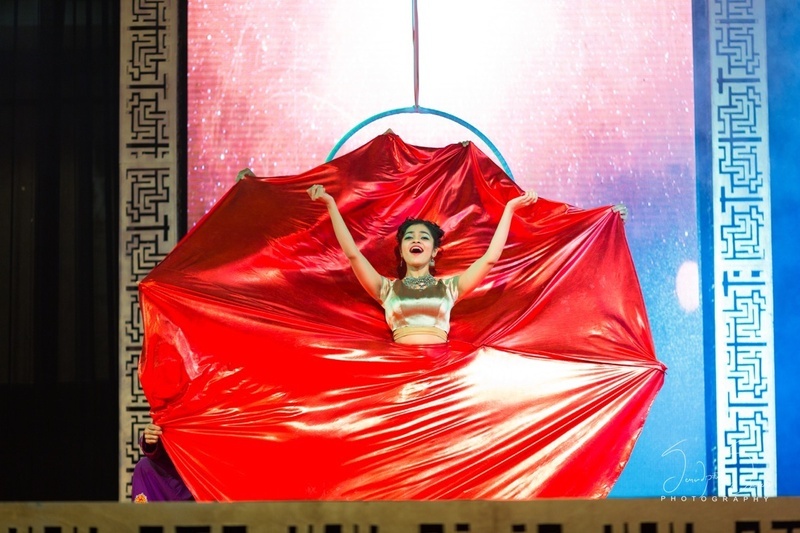 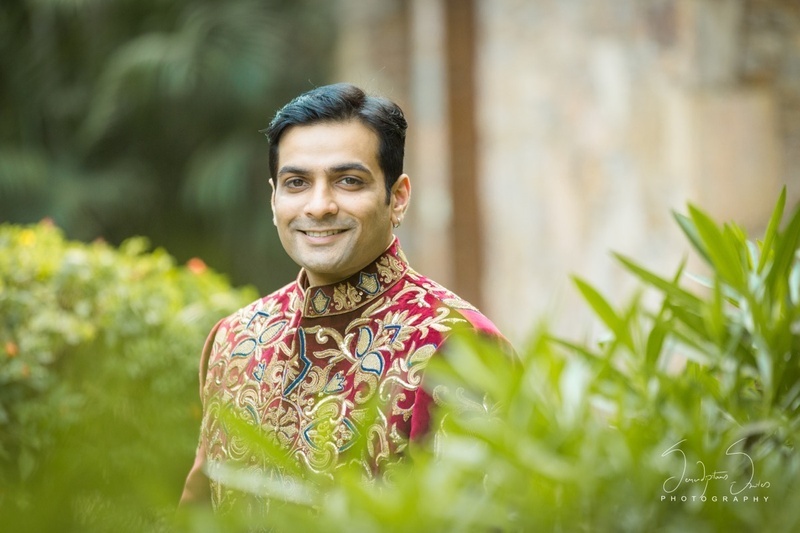 What to look out for as you scroll through this wedding – the trapeze artists that made quite the entertainers at their Bollywood-worthy sangeet, the bride’s minimal yet statement jewellery picks and their pre-wedding photoshoot held in old worn down forts that played a perfect contrast to their young, fresh love!